With nearly a decade of experience as a television personality, Pat Neely’s has proudly taken his media career to a new level for the 2016 – 2017 season by hosting and executive producing SAVE TO WIN, a brand new game show which will be featured nationally every Saturday on the CW Television Network as part of its “One Magnificent Morning” programming block. SAVE TO WIN is the latest chapter in an exciting, vibrant and diverse adventure that began after Pat opened some of the most renowned barbecue restaurants in the South. 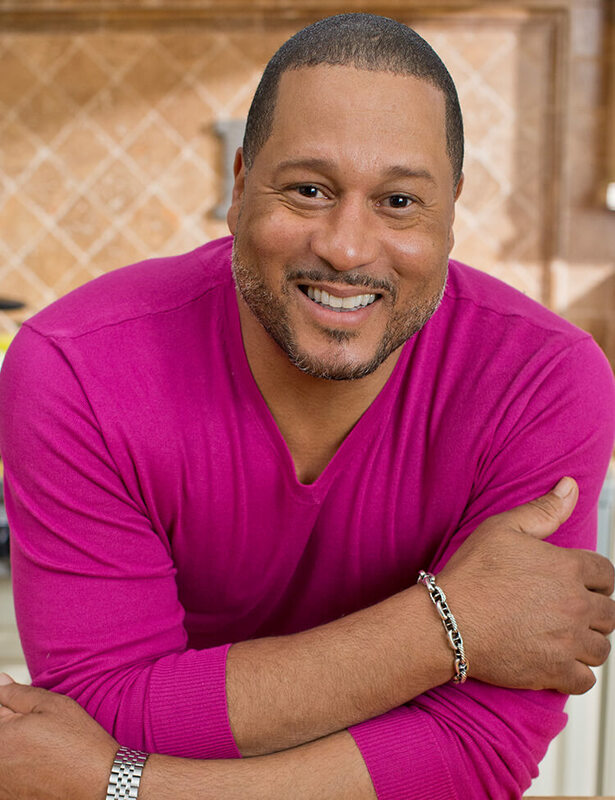 Fueled by the popular appeal of his restaurants, Pat embarked on a career as one of America’s favorite celebrity chefs with Food Network’s Down Home with the Neelys, where he shared the secrets behind his favorite dishes and his passion for food, family and fun. Down Home with the Neelys was the highest-rated series debut in the history of Food Network’s “In the Kitchen” block. The show enjoyed thirteen successful seasons on that network and its sister channel, GAC. Building on his tremendous success in television, Pat became a respected cookbook author with New York Times best-seller Down Home with the Neelys (Knopf, 2009), and its follow-up, The Neely’s Celebration Cookbook (Knopf 2011). Pat’s most recent book, Back Home with the Neelys (Knopf), was published in April 2014. In 2013, he partnered with QVC to offer a line of branded cookware. Additionally, Pat regularly appears on stage offering inspirational speeches and cooking demonstrations to audiences across the United States, Mexico and Asia. Since 2014, Pat has served as a national brand ambassador for Family Dollar Stores. Pat has also represented several other major brands in national marketing campaigns including Kraft Foods, McDonald’s and Boston Market. Pat has appeared on various national television and radio shows including Good Morning America, The Today Show, The Chew, The View, The Talk, The Rachael Ray Show, The Arsenio Hall Show, The Queen Latifah Show, In the Kitchen with David, The Wendy Williams Show, The Monique Show, The Steve Harvey Show, Home & Family, Anderson Live, Bethenny, Martha Stewart Radio, The Tom Joyner Morning Show, BET’s Lift Every Voice and Tyler Perry’s Meet the Browns. In print, Pat has been featured in a variety of national magazines and papers including The Wall Street Journal, People, USA Today, Food Network Magazine and Sam’s Club Magazine. As a highly successful restaurateur, Pat has owned and operated restaurants in Memphis, Nashville and New York City. In 2007, Pat was named Restaurateur of the Year by the Memphis Restaurant Association. Pat participates on several charitable boards and committees and he is a member of The Dreamers Club for the National Civil Rights Museum.